The more we discover, the more specialised we become. In Australia and New Zealand we are fortunate to be at the forefront of many areas of scientific research. These research areas require differently configured NMR instruments. With these instruments costing up to 15 million dollars, collective action is essential. By working together and establishing areas of excellence within a network, different Facilities in Australia and New Zealand complement each other. Its a sure way of preserving our lead in the very competitive world of cutting edge science. The network comprises of 5 major NMR centers and 4 specialist facilities with a current worth of nearly $100million in capital infrastructure alone. By working together, the Australian and New Zealand NMR community can now compete with much larger and wealthier countries and be world leaders in scientific research. The efficiency of the NMR network continues to increase with the establishment of nodes of expertise that serve the entire NMR community, not just one university. NMR instruments now focus on one specific application instead of switching from one application to another, which is costly and time consuming. This also means the support staff can become experts in a particular area. To remain competitive in the international arena, there is continual need to update equipment and train staff. By working as a network and pooling resources, funding goes much further. New purchases and training are designed to have maximum impact on the capabilities of the network as a whole. The network has had a huge positive impact on the sharing of knowledge among the various centers. The network actively promotes open communication. 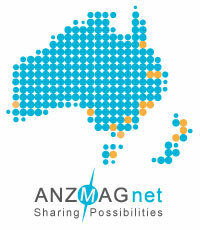 The ANZ Mag Net organise numerous conferences and get-togethers covering the wide range of research fields involved with NMR spectroscopy. There is also an awards scheme to promote excellence in NMR research. This network is here to benefit the NMR network, as well as government, industry, and the wider community. See our contacts section for more information on gaining access.